Unique from other fitness and weight loss camps, Debra Stefan Fitness serves live-in and day camp clients in a private residence. Accommodations include nutritional provisions, weight loss coaching, and personal training. Clients range from six-pack seekers to 500 lbs morbid obesity adult campers up to 80 years of age. Guests travel worldwide to lose weight while improving fitness in an actual home environment. Only three to four clients are in house at a time. The residence is private and not open to the public. Debra Stefan Fitness retreat services are featured in a segment of the UK’s hit TV series, “Supersize vs Superskinny”, known for its syndication on the Oprah Winfrey Network. 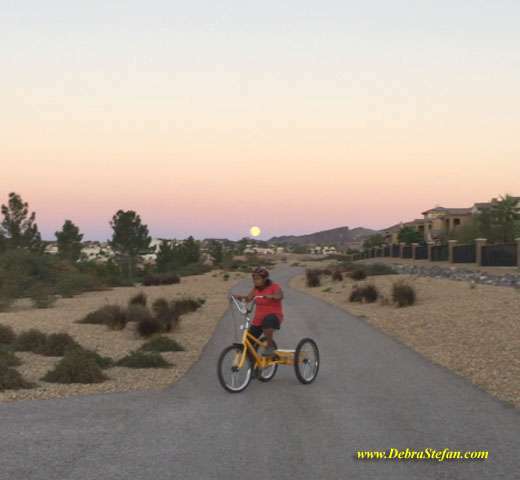 Debra Stefan Fitness is known for early morning outdoor fitness in a scenic environment. A wide variety of activities take place in and around the live-in fitness residence. Activities include working with free weights, balance training, core training, suspension training, stability balls, medicine balls, boxing and agility drills, training ropes, jump ropes, pool activities and diverse outdoor adventures. Also, included will be bike camp fitness cycling on single speed cruisers, mountain bikes or industrial trikes as appropriate. Your Live-in Coach – Debra Stefan, will direct you through organized, well-thought-out workout routines with upbeat, motivating instruction that includes a combination of agility and balance drills, games, exercises, fat-burning cardio, strength training, and yoga. No one is left behind. Individual exercise modifications apply to all routines. No matter what your limitations are, you will get a good workout, lose weight fast, and make progress you wouldn’t be able to achieve on your own. So, it’s something different all day, every day. A variety of equipment and locations with weight training and cardio interval training techniques benefit your entire body. Total body workouts based on scientific exercise progressions and sound physiological principles take you to your goals. Within weeks you’ll notice a difference in your weight, strength, energy, moods, and overall fitness level. Debra Stefan Fitness Retreat Services are independent and not associated with any other locations or enterprises. All client results, videos, and testimonials are completely voluntary by actual clients. No one is ever paid to do so. Live-in weight loss clients travel from as far away as Saudi Arabia, Australia, New Zealand, Norway, Switzerland, Egypt, India, Bermuda, Asia and Canada to attend her private retreat. Debra is a fitness speaker/educator, former top fitness competitor and performer, group fitness instructor, jump rope coach, master yoga teacher and personal trainer with professional fitness experience since 1971. Her fitness courses have received accreditation for university students and professional educators. Compare fitness retreat services cost and quality. All fitness retreat services are not equal. After all, can an institutional-style group training environment really compare on the same level as a Private Retreat in a real-lifestyle setting? When deciding on fitness retreat services cost and quality are driving factors. *The above listed health and wellness services are available to all eligible clients. When you do all the right things all at the same time, you will get extraordinary results in a short time. The key to adherence is to see results that motivate you to continue. Establish your exercise and eating habits without distraction. Leave all other responsibilities behind. Come into a controlled environment where there are no tempting foods to take you off course. Put yourself in a setting with fitness retreat services that include a variety of indoor workouts and outdoor adventures. Progress begins at the level of your current capability. Over days and a few weeks, noticeable changes take place. The most important changes are the ones that take place in your mind. Once you actually choose a life of wellness and activity over a sedentary one, you have made a lifestyle change. 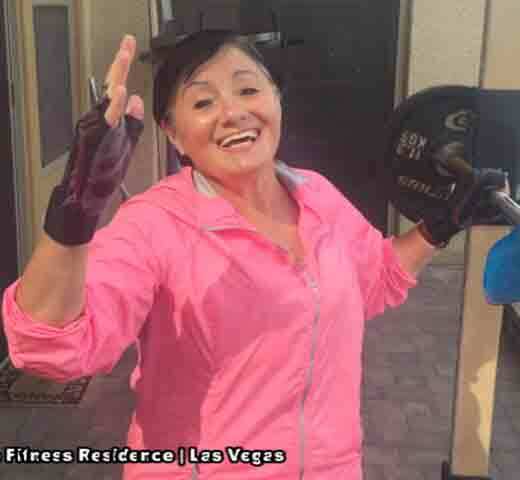 During her eight-week stay at the fitness retreat residence, she discovered the benefits of dumbbell and barbell training. With weeks she progressed from preliminary exercises to barbell lifting. First, she perfected her barbell placement and posture with calf training doing free balancing heel raises. Soon, she was ready to load the barbell with weight plates adding 10 lbs. per progression. Postural muscles along with upper and lower body improved in appearance. Fitness retreat after extreme weight loss sets her up for a lifestyle of wellness eating, sleeping, thinking and moving in the right direction. She overcame the constant threat of recurring obesity that haunted her entire childhood. Empowered by her goals, she even learned to ride a bike for the first time. Final Victory over Childhood Obesity at Weight Loss Retreat for 21-year-old! If my services are not right for you, please see Retreat Finder for a directory of retreats around the world.